Enjoying the gorgeous December weather in lovely Hermanus, South Africa. I dedicate this post to all the strong mamas and wives of husbands who work away. I haven't seen my husband in almost 8 months.... well, to clarify, I have seen him over Skype and Facetime and we speak to each other every single day, but I haven't physically seen him since the end of March. My hubby is a farmer in the USA and he works abroad for 9 months at a time. He only comes home once a year from December till April. This is the 6th year of him working abroad. 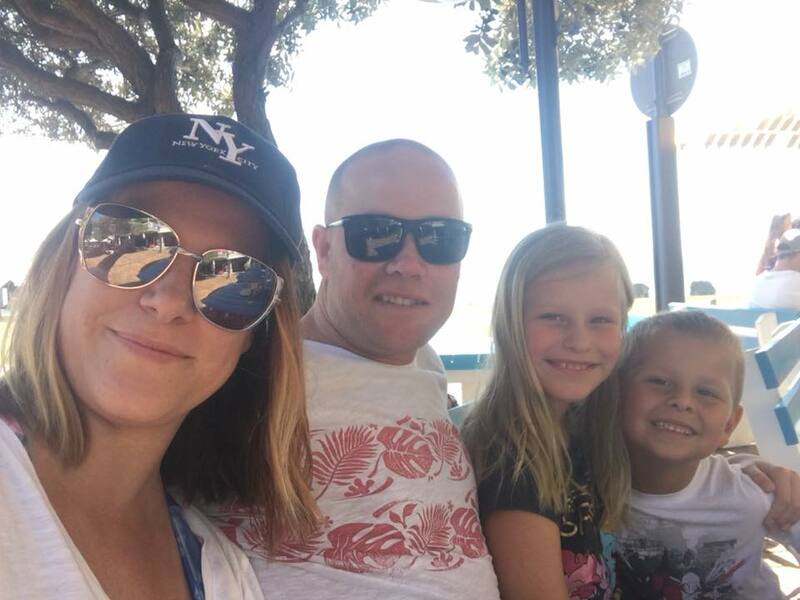 As you can guess, maintaining a household and looking after our 2 kids by myself here in South Africa, can sometimes be super challenging, but I am glad to say that I have found my groove and that our relationship has grown a lot these past 6 years. Ok, so let me give you a bit of our back story. My hubby and I are high school sweethearts and we have been together for 20 years. (What?! Can’t believe how time has flown by!) During his second year abroad, the kids and I joined him in the US and we were fortunate enough to live with him in the little town he worked in for almost 2 years. The kids and I returned to South Africa in November of 2014 for holiday and due to unforeseen circumstances, we were unable to obtain another visa to re-join him in the US that following year. So we decided to keep living in SA while he would go back to the US every year to work. This is our lives. Part circumstance, part choice. But the one Bible verse I hold on to every day is Jeremiah 29:11 “For I know the plans I have for you, declares the LORD, plans to prosper you and not to harm you, to give you a future and a hope.” This amazing promise keep us moving forward and motivates us to never give up. This is only temporary. But the reality of our circumstances are that we are living separate lives. Separate lives that connect for 3-4 months each year. During these months we have to get used to being together again. We have to get used to sharing our lives with each other, spend time with each other and try to make the most of these couple of months we have together. I call these couple of months our IN BETWEEN months. Nobody truly understands this term better than the women whose husbands work away. Whether it be 1 month away, 1 month back or 3 months home, 3 months away. Not every situation is the same. I can only truthfully share with you my own experience and my own personal journey of being the wife of a husband who works away. I must add that I am truly blessed with an amazing family, in-laws and great friends that supports us during the months when my hubby is away. I am also truly thankful that my hubby is an incredible father and an amazing husband. He has sacrificed a lot to provide for all our needs. We are truly blessed to have him in our lives. I thank Jesus every day for providing him with such an amazing job and opportunity. A quote I love by the late Dr Wayne Dyer is: “If you change the way you look at things, the things you look at change.” Always look for the positive in every situation. When I talk to people they always say: "I don't know how you do it!" and truthfully, sometimes I don’t know either, but one of the biggest reasons I am able to do it is: Routine. A great daily routine keeps me sane. We have a daily routine that we stick to for example, wake up at 5, me-time till 6:30, wake up kids, breakfast, dressed, off to school, work time, pick up from school, lunch, homework, dinner, cleaning, bath time, movie, bedtime for kids, work time for me and my bedtime at 10. This simple routine keeps our lives streamlined and somewhat normal. And yes, I do have bad days. Days when I really miss my hubby. Those days I give myself permission to stay-in-bed-all-day-and-binge-watch-series-on-Netflix-and-binge-eat-nachos-days. I allow myself to be sad and to miss him. I embrace these days. We need to stop being so hard on ourselves, mamas! We don’t have to be perfect moms or perfect wives. We need to let go when we need to let go! Allow yourself to have crappy days where you feel sad and lonely. Allow yourself to feel and then pick up your head and take a small step forward. Just keep moving forward. One step and one day at a time. Embrace the LONELY days. The feeling-yucky-days. Embrace them and turn them into days that will recharge, relax and replenish yourself. This incredible journey this past 6 years has tought me so much about myself. I have learned that I was strong and worthy. That I have the ability to control my emotions, my reactions and sometimes even my environment. I can make a difference and I matter. I know that I can accomplish and overcome more than I have ever thought possible. I have learned to embrace the “in between months” and to be grateful for my gorgeous hubby, children and the amazingly blessed life we are living. I have found my passion and my purpose and I have started dreaming again. Yes, the way we are living now might not be ideal, but it has a purpose and it is only temporary, so I will embrace it and be the best student of my circumstances during this season of our lives. Ask for help when you need it. This one was hard for me. I absolutely hate asking people for help. I would much rather do it myself and sometimes the result can be disastrous (never try to fix a Playstation Remote yourself - even if you Google it!) It is not a bad thing to be independent, but sometimes we should allow other people in our lives to help us. There are still people in our lives that really, really want to help. Don't say NO to their offer of help! It doesn’t mean you are weak or not able, it just means you are allowing someone. who cares for you, to do something good for you. Be grateful for the help. It will simplify your life in the long run and it will help you maintain your sanity, I promise. Gratitude. Probably the biggest lesson I have learned. Be grateful every.single. day. I start my day off by writing in my Gratitude Diary. I write down 10 things I am grateful for, big and small. A simple little exercise that has had a major impact in my life and my anxiety and stress levels. A MAJOR impact!!! Starting my day with a grateful heart, has impacted my attitude and it has made me more aware of the small miracles that constantly happen all around us. I have also started writing down 5 things I love about my hubby. 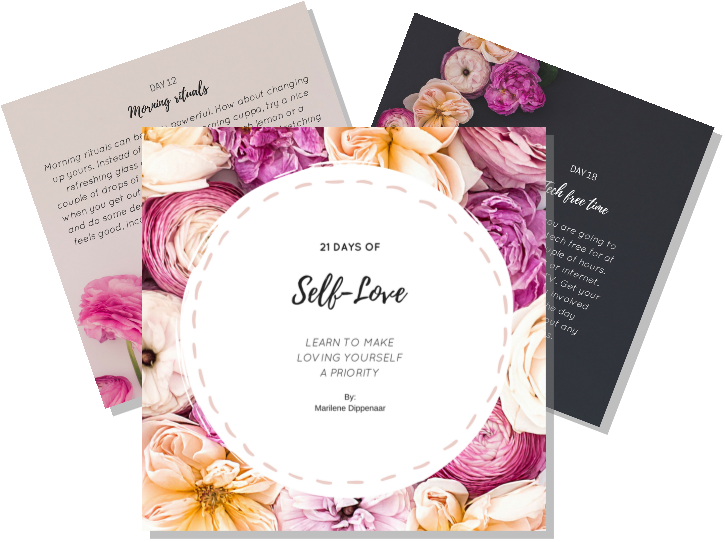 When you are in a long distance relationship it is easy to forget what made you fall in love with that person in the first place and this exercise is such a great way to remind yourself of all the great qualities your husband has and why you married him. This keeps me feeling connected to him and it has definitely improved our relationship. Self-care and self-love. You need to spend time (and money) on yourself, mama. Whether it is going for a weekly massage, having your hair done, joining a yoga class or just listening to some music while taking a nice, hot bath. You cannot pour from an empty cup! Look after yourself. Your kids deserve to have a mama that feels relaxed, happy and content. You deserve that too! To drink at least 2-3L of water per day. Hydration is super important and you will see amazing results and feel fantastic just by adopting this as a daily habit. Taking an Epsom Salt bath at least once a week. This is great for aiding the body in detoxification and relaxes the body and mind. Add some lovely relaxing essential oils (my favourite is Lavender), some candles and definitely put on some tunes! Tongue Scraping - sounds creepy, it is not. It is actually pretty awesome and will help get rid of food cravings. WHAAAT???? Personal Development. This has been a biggie for me. I spend a half an hour each and every single day doing some form of personal development. It has completely changed my life, my business and the way I not only treat myself, but the people around me. Personal Development can mean spending some time reading an awesome self help book (my favourite-and-highly-recommend-you-read-it-immediately book is: Girl, Wash your Face by Rachel Willis) or watching inspiring talks (Ted talks are my secret addiction) on Youtube or listening to a great podcast on iTunes. It can be learning something new, starting a new hobby or writing that book you have always wanted to write. I truly believe that if we stop learning, we stop growing. That is why if you can take away only 1 thing from this blog post, I hope it is this! I will list some of my favourite Personal Development Resources at the end of this post. Find your WHY. This is probably the one lesson that has taken me the longest to achieve, and still, it is an ongoing journey. Find something you love to do. Something you were born to do. Something that makes you want to jump out of bed in the mornings. Something that lights you up on the inside. For me this journey started 4 years ago in the States when I started my studies to become a Health Coach. I always knew that I wanted to help people. I never knew exactly how I could achieve this dream. During my Health Coaching studies we did a lot of Personal Development. I was forced to write down my dreams and goals (and I haven’t allowed myself to dream for a very long time). Slowly I started figuring out what I wanted to achieve in my life. Although the path wasn’t a 100% clear, I knew where I was going and I could start taking small steps towards those goals. And as you evolve, your goals will evolve, but you must start by taking a deep look into what you want out of your life. Don’t just live it day by day, doing the same things over and over again. You have a purpose that only YOU can full fill. I truly believe that for everyone! A great book that I would highly recommend reading is: Start with Why by Simon Sinek. This will get you started on this amazing life changing journey. Yes, let me be totally honest with you guys. I do get days where I fail miserably at being a good mom. Days where I lose my sh.., scream, feel super crappy about it afterwards, days where I forget important dates, days where I feel anxious, days where I fight with my hubby over the phone and days where it feels like everything is falling apart. Yes! Those days are a part of this journey too, but they do not define the journey. They are merely little cracks in the road. Just step over the crack and move on. If the crack is big and it needs fixing, then fix it! Don’t let these cracks in the road stop you from reaching your destination. It is just part of the journey and the destination is worth keeping moving forward. Trust me. Here is a couple of Personal Development Resources to help you get started on your journey. Please share this with any mamas you might know that might need to hear this. And if this mama is you, please reach out and contact me. I would love to connect. We don’t have to do this alone.